Providing additional capacity of 4.2m3 than the standard Caddy, the new Volkswagen Caddy Maxi panel van is available now from Clark Commercials in Aberdeen, Dundee and Edinburgh. The new VW Caddy Maxi for sale has receive similar design updates to the Caddy, with sharper lines for the front and rear lights and a sleeker grille giving a more dynamic appearance. An integrated roof spoiler and updated alloy wheels add further design enhancements to the new Maxi. The inside of the new VW Caddy Maxi has a variety of new features, making the most of the latest infotainment technology from Volkswagen. The dashboard has been completely re-imagined and now has a much more “car” orientated layout, built into a high quality dashboard made from high quality materials with premium finishings. 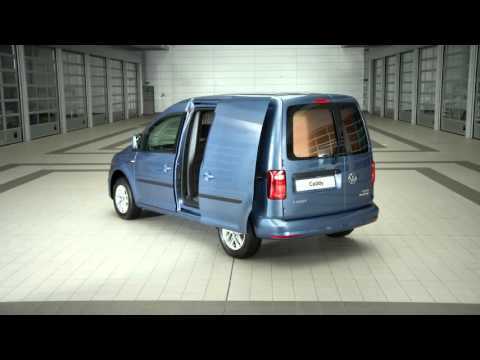 Inside the new Volkswagen Caddy Maxi you’ll find a spacious cabin and storage area that’s accessible and simply laid out, making it easy to quickly load and un-load. This is further enhanced by the addition of a side sliding door on both sides for improved access. The increased storage area of the VW Caddy Maxi gives you more room for storage with plenty of smaller storage sections for added convenience. Within the new dashboard and central console you’ll find a 5” integrated colour touchscreen infotainment system allowing you to operate on-board systems from a single location. DAB+ radio and telephony integration via Bluetooth are available enabling you to connect your smart device on the move. Extensive safety technology is also incorporated into the new Caddy Maxi, with Electronic Stability, ABS and Automatic Post Collision Braking to name but a few. To find out more about this exceptional panel VW van for sale or to view the rest of our commercial vehicle range, visit your nearest Clark Commercials showroom today in Aberdeen, Dundee and Edinburgh. Our highly experienced staff can discuss you needs and circumstances to find the right van for your business, with a variety of finance options available.